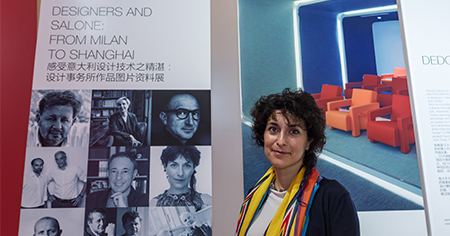 Avrildesign, with iGuzzini Shanghai, Iaction, Swiss Ambassador's Residence, Nu Skin Lifestyle Experience Centre and Finenco Architects take part at "Shanghai Projects" during Salone del Mobile Milano Shanghai 2016. “I don’t believe in charity or magnates, I believe that a developed society needs to build good business opportunities in the field of sustainable development and projects that create social inclusion and integration. I am interested in ethical business as an intelligent way of creating social innovation. When I was at the Politecnico I thought I would become a designer to change things. To design new ways for people to live. For years I dealt with Design for All at the Italian and European level: (...)"